● Logs Data to file for future inspection. ● Provides extensive graphically-based tools for ease of data inspection. ● Exports data as ASCII-based files for data-base use. ● Provides instantaneous access to its data by third party software via the vtde API, a set of 5 simple to use high-level functions located in the supplied VTDataEx7.dll library. Full access to data to real-time data by third-party software using the high-level vtde API. VacTools communicates directly with the vacuum controllers (PVCX, PVCi, IGC3, IGC4 and IGC5), providing complete control over their settings, and monitoring of their operation. Any combination of RS232 and RS485 communications buses can be used to support as many controllers as required. The RS232, as well as the RS485 supports multiple daisy-chained controllers. The serial ports can be the native (COM1) port found on most desktop PCs, or virtual COM ports assigned from card-based (e.g. PCI) port adaptors, or USB- or Ethernet-based serial converters of which there are many commercially available. If in doubt see Interface Hardware below. VacTools provides the user with complete flexibility of port allocation and usage (see Port Configuration Window). Installed serial ports can be added to the VacTools configuration and their serial settings set with just a few mouse clicks; and when not required, deleted from the configuration. 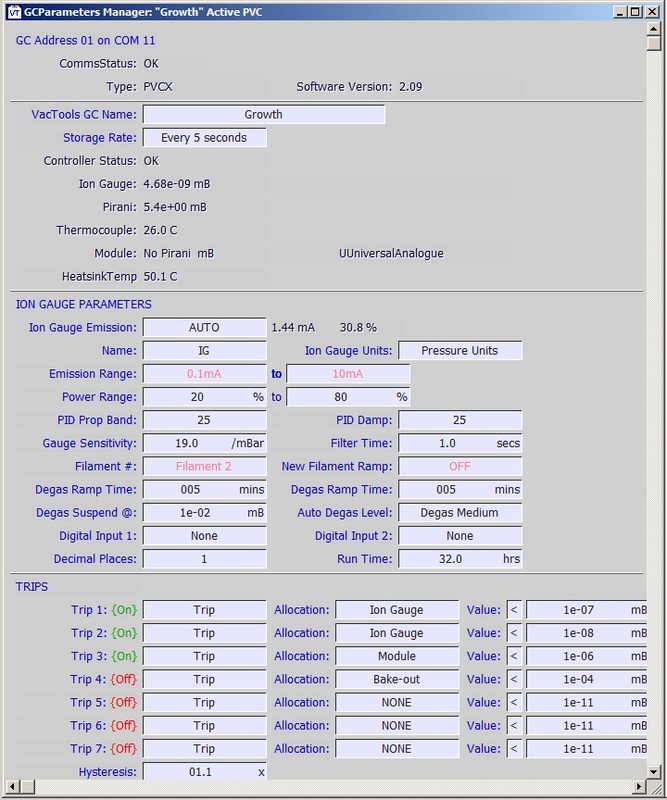 On start-up, or user command, VacTools automatically scans all active ports for connected VCs, downloading their parameter sets and resetting the configuration. VacTools communicates directly with the VCs using optimized algorithms to maximize data throughput. 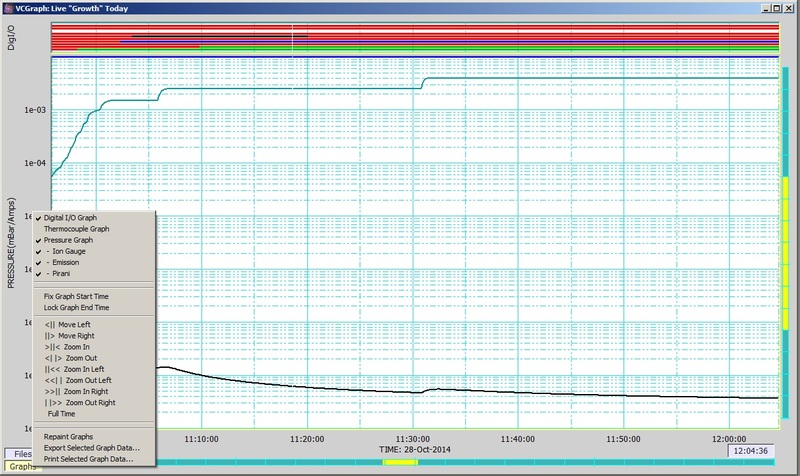 Operation of the VCs is be controlled in real-time from the VC Parameter Windows. ● Axes can be zoomed with the mouse using the Zoom Bars (e.g. bottom of the screen), menu commands in the popup (left) or by setting the start and end times. 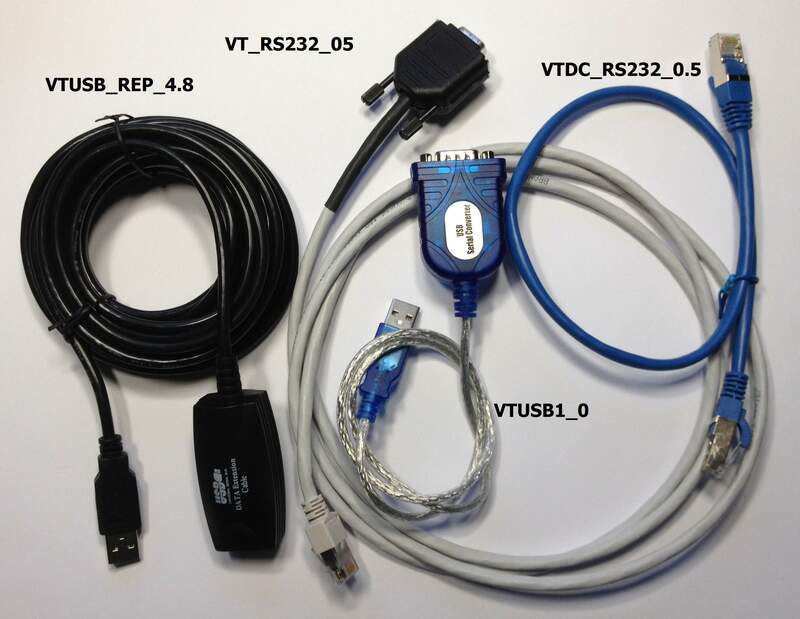 VacTools communicates with one or more VC over one or more RS232 or RS485 serial ports. Multiple VCs can be "daisy-chained" onto a serial bus (even RS232). Serial ports on PCs are designated a COM number. Serial ports can be the native RS232 port on many table-top PCs, or COM ports located on interface cards that fit in a PC (e.g. PCI slots), or USB-based or Ethernet-based serial port converters. There are a great many of these on the market (e.g. MOXA), all coming with appropriate drivers for modern Windows OS. They are easy to install and many allow COM port re-allocation. Aside from serial ports, the only other things needed are cables from the PC to the first VC in the chain and daisy-chaining cables. 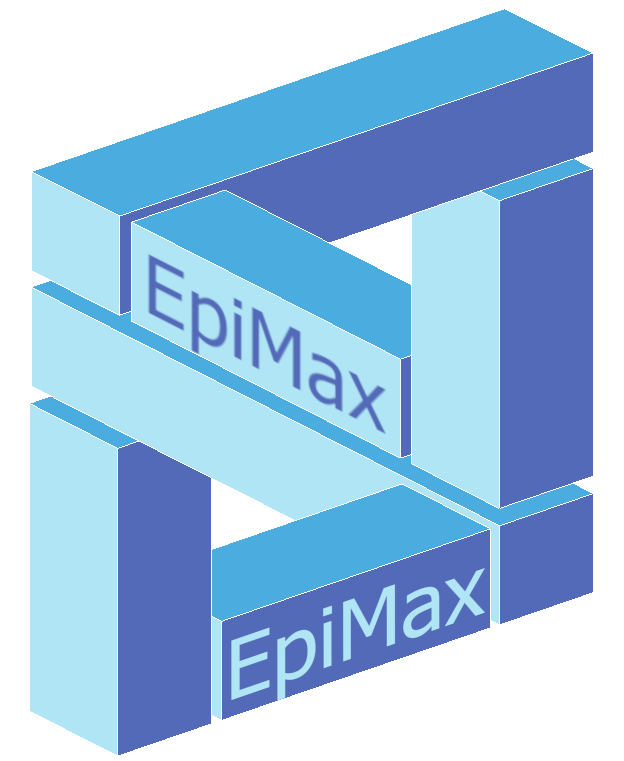 But if you are new to all this or in doubt, EpiMAX (or your VC provider) can provide you with solutions. Our simplest range (right) includes: USB to 1 or 2 RS232 ports, USB repeaters (to allow USB distances up to about 15m), 5m long RS232 to RJ45 cables (from PC or USB-serial converter to first VC) and 0.5m RJ45 daisy-chaining cables (between VCs). All real-time data available to VacTools is instantaneously available by third party software via the vtde API, a set of just 5 high-level dll-based functions.